Securities offered through SagePoint Financial, Inc., member FINRA/SIPC. Jonathan offers advisory services through SagePoint Financial a registered investment advisor. J.D. 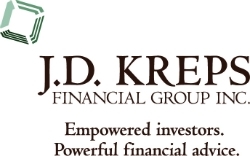 Kreps Financial Group, Inc. is not affiliated with SagePoint Financial, Inc. or registered as a broker-dealer or investment advisor.